Concordia’s recently appointed provost, Graham Carr, has laid out an ambitious set of academic goals for the year. 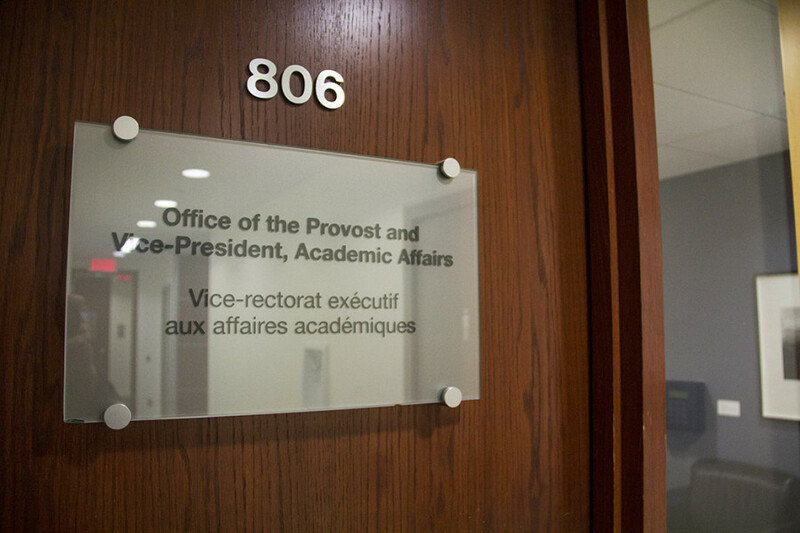 The former Vice-President of Research and Graduate Studies assumed the position full-time after serving on an interim basis following Benoit-Antoine Bacon’s departure for Queen’s University at the end of last semester. “We think that this spectrum of first moves covers a wide variety of desires, goals, and objectives that reflect the different interests of the community,” he said, affirming that no one goal is more important than another. The creation of a Chemical and Materials Engineering Department is also on the menu for the upcoming academic year. The university will announce an Indigenous commission within the next two to three weeks, addressing Canada’s Truth and Reconciliation Commission recommendations for universities, said Concordia President Alan Shepard in an Oct. 4 interview. The Truth and Reconciliation Commission of Canada: Calls to Action, outlines 94 suggestions for the government with regards to Indigenous issues. Included in the report are numerous recommendations in the domain of education. Carr’s first external trip as the new provost was to the University of Alberta, where there was a two-day forum on universities’ response to the recommendations outlined in the Truth and Reconciliation Commission, he explained. The drive by universities is to better support Indigenous students, Indigenous scholars and research, and to increase “collaboration and engagement with Indigenous communities that the university serves,” Carr said. The nine priorities include initiatives that are meant to assist the research and curriculum creation process. Hiring various professionals to focus specifically on research grant applications and curriculum creation are two methods Carr plans to use with this goal in mind. The grant application preparation process, according to Carr, requires large time commitments and, in some cases, professional expertise. This exceeds what individual faculty members as researchers can devote themselves to, he said. They’re looking to create an “entourage” that can support the university’s researchers, Carr continued. Similar time constraints are being considered with relation to curriculum creation. The creation of “innovative curriculum” can be a very time consuming process, Carr said. In order to help alleviate this concern, the new provost plans on hiring two or three professionals who are knowledgeable about curriculum creation to lend a helping hand. A proposal for the creation of a Chemical and Materials Engineering Department was approved at a Senate meeting on Oct. 7. “I’m super excited about the proposal,” Shepard said, adding it was one of the first ideas to come from the university’s strategic directions process. The proposal initially came from the faculty of Engineering and Computer Science. It still needs to be approved by the Board of Governors after which Concordia’s offering of such a program must be approved by the Ministry of Education. According to Carr, there is “incredible” demand in North America for chemical engineering, especially among aspiring female engineers and faculty. “So, there is also going to be an important gender shift here in the composition of the faculty as a result of this program,” he said.